More and more women seek natural remedies to treat health problems, either as an alternative or a complement to conventional health care. Dr. Sat Dharam Kaur created The Complete Natural Medicine Guide to Women’s Health to provide clear and comprehensive information on integrating natural medicine treatments into a healing program for the distinctive health concerns of women. The Healthy Breast Program was developed by Sat Dharam Kaur, N.D. to provide a naturopathic protocol for preventing and treating breast cancer to be used in combination with allopathic diagnostic and treatment options. The program is designed to educate and provide support to women interested in maintaining or improving the health of their breasts. The Complete Natural Medicine Guide to Women_s Health and Breast Cancer with Dr. 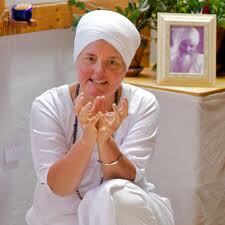 Sat Dharam Kaur, ND.